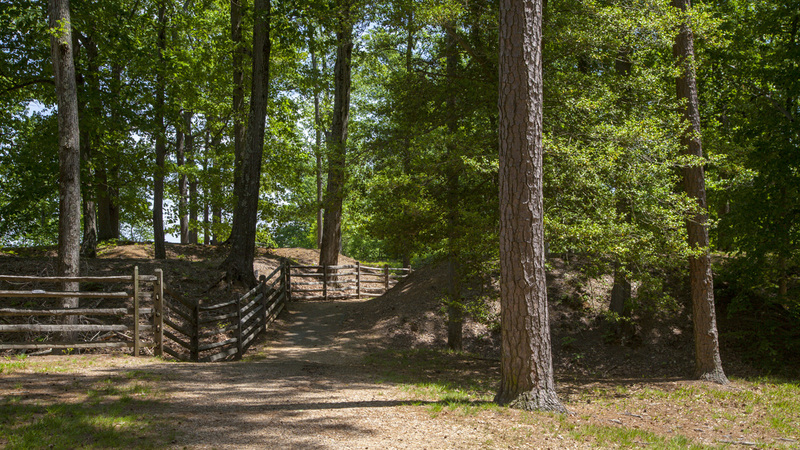 Located approximately ten miles south of Richmond, this 42-acre site was the Confederate capital’s final line of defense along the James River during the Civil War. 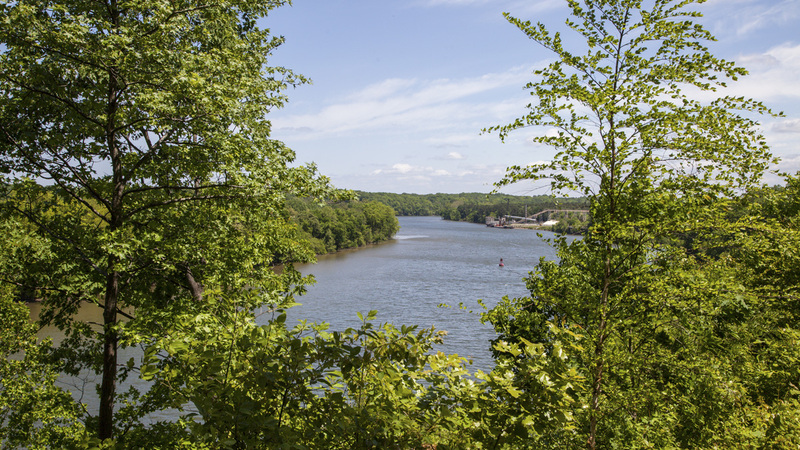 On March 17, 1862, Confederate soldiers began fortifying Drewry’s Bluff, a 90-foot-high ridge overlooking a sharp bend in the river on its west bank, with earthworks, barracks, and artillery emplacements. Less than two months later, five Union ships, including the ironclads USS Monitor and Galena, set out to bombard Richmond. 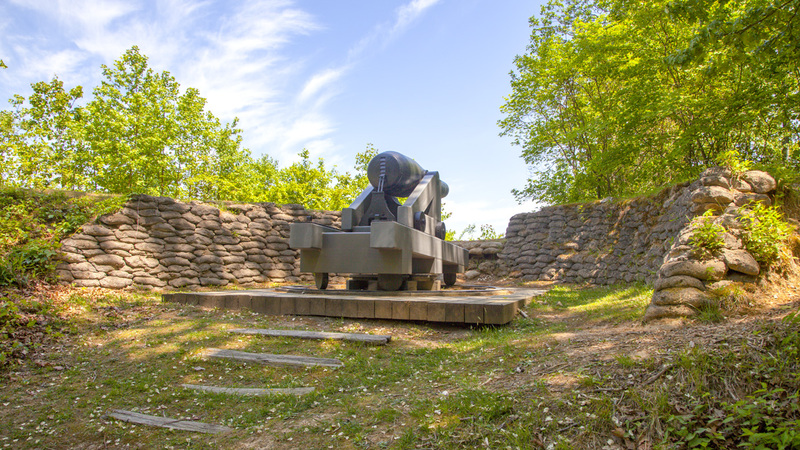 When they reached the bluff (called Fort Darling by the Northerners) on May 15, several hours of cannon fire ensued, with the Confederates ultimately forcing the Union navy to retreat. 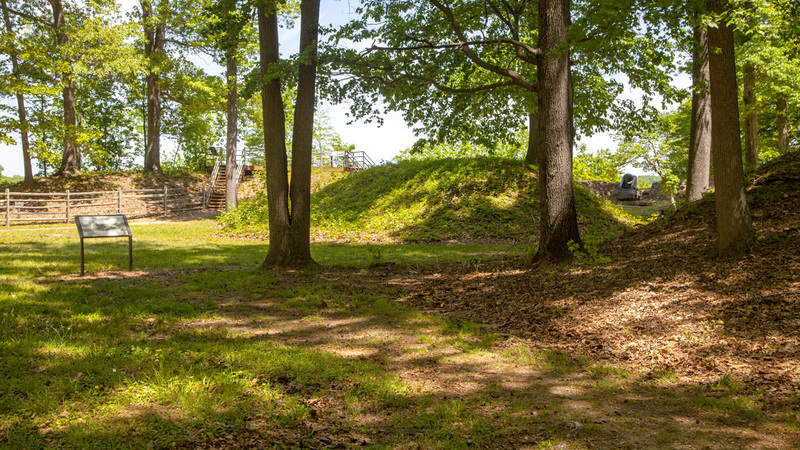 The fort was subsequently expanded to serve as an important training ground for the Confederate Naval Academy and the Marine Corps Camp of Instruction. Although the Union navy never succeeded in reaching Richmond by water, the fort was evacuated after the fall of Petersburg in April 1865. 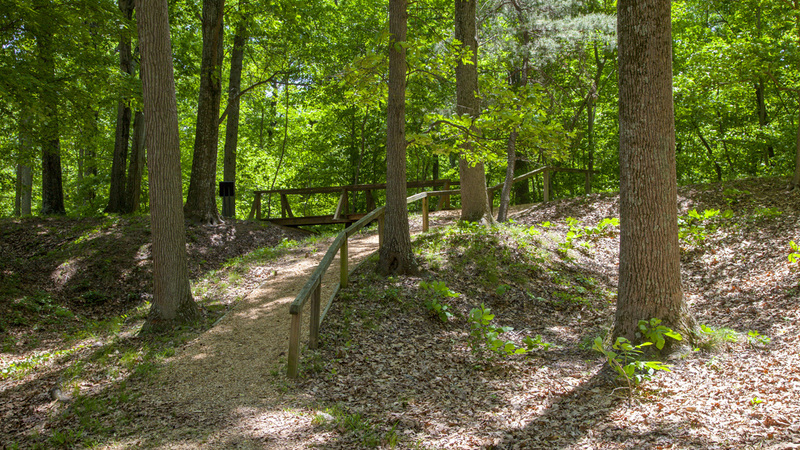 Today Drewry’s Bluff is accessible from Interstate 95 via a gravel trail that weaves through the mostly wooded landscape. 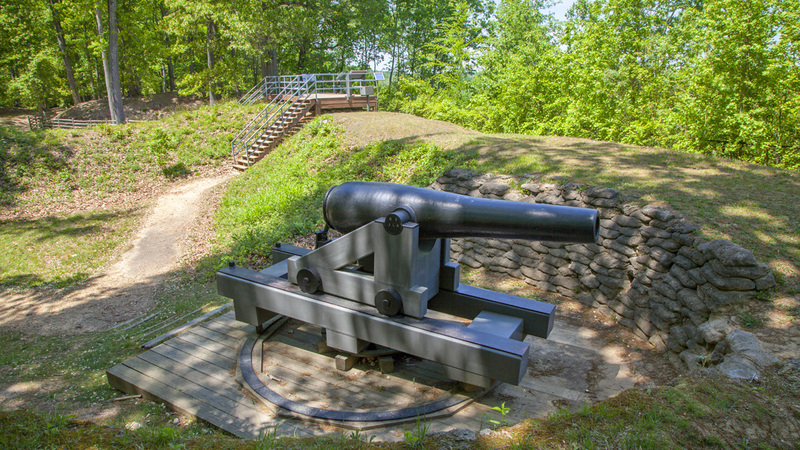 A wooden observation deck provides an expansive view of the James River, and a Civil War-era cannon, also oriented towards the river, is sited several feet away on a raised platform surrounded by a stone retaining wall. Informational signage recounts the history of the site, and markers indicate where gun emplacements once stood. 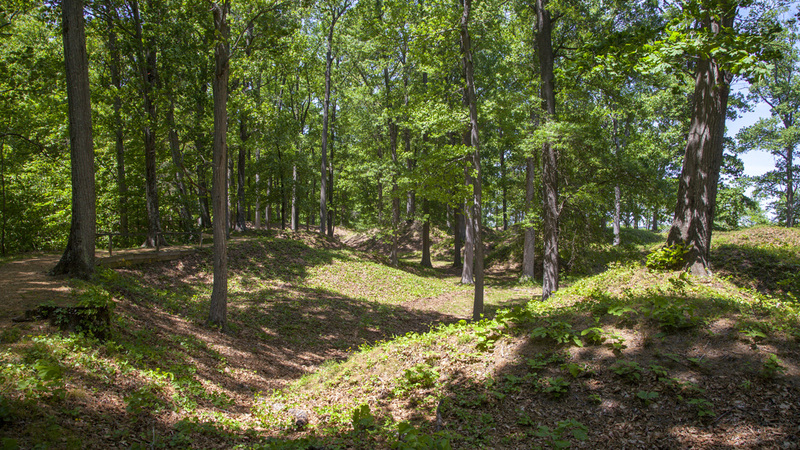 Many extant earthworks can be seen throughout the landscape. 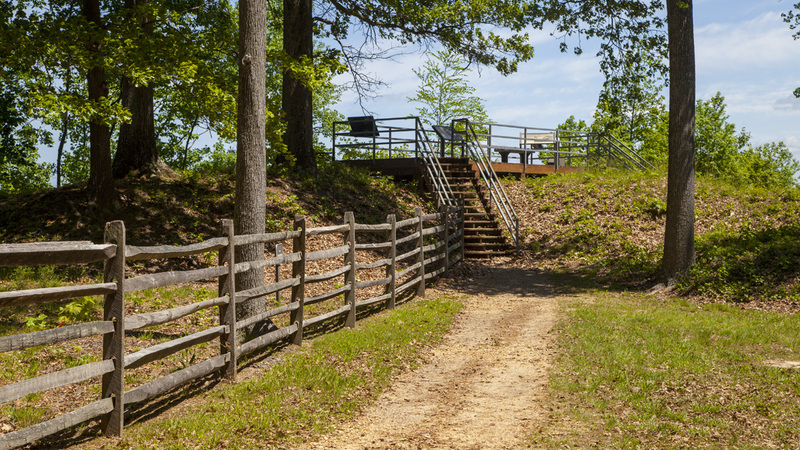 Drewry’s Bluff is a contributing unit of Richmond National Battlefield Park, listed in the National Register of Historic Places in 1966.